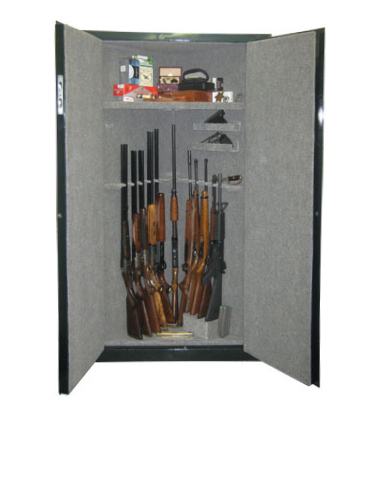 Separately keyed valuables cabinet Gun cabinet section holds 10 rifles or shotguns up to 54" tall with foam padded bottom to reduce the chance of scratching Valuables Cabinet section has 4 large foam padded removable steel shelves and are perfect for storing ammo and hand guns as well as other valuables such as camers, jewelry, etc. 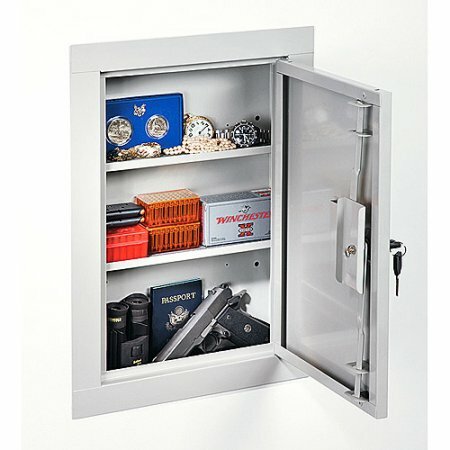 This full-length, in-wall security cabinet allows you to store valuables and firearms without taking up valuable floor space. 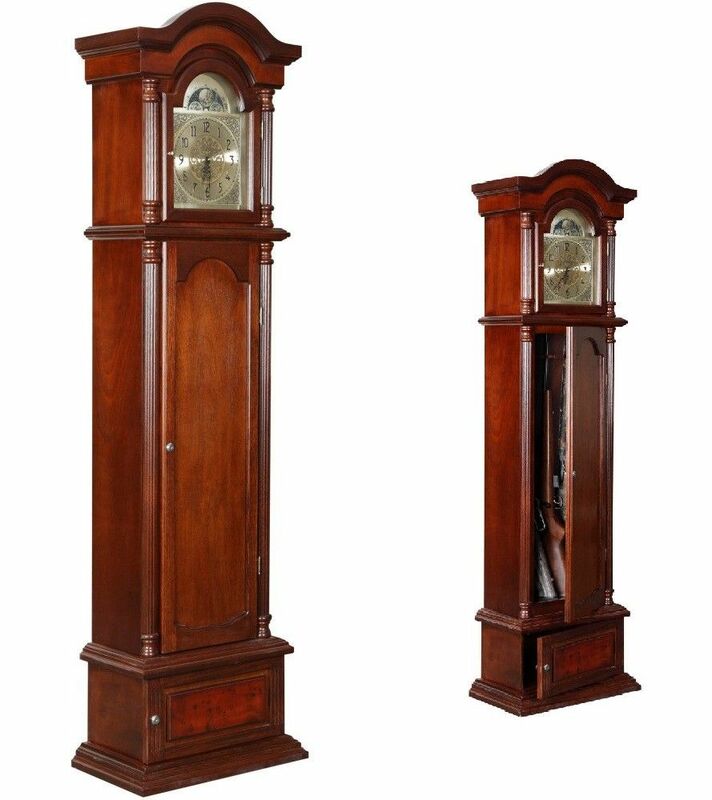 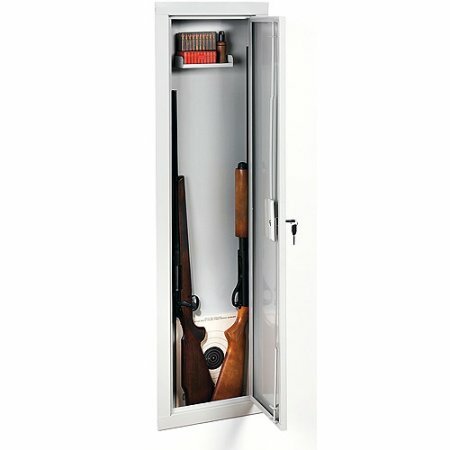 This in-wall cabinet can hold 2 rifles or shotguns up to 52" tall or has 3 removable steel shelves for securing valuables. 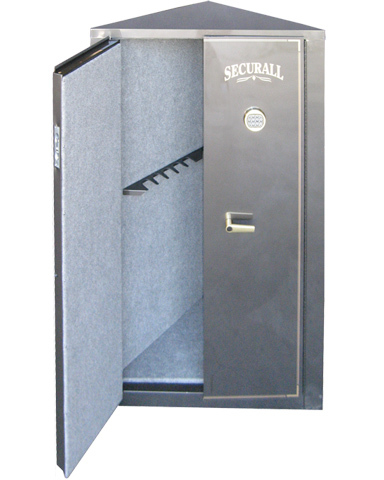 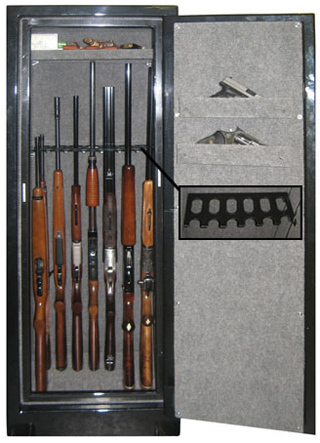 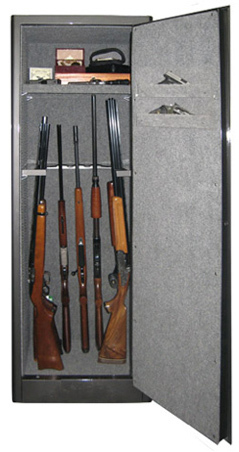 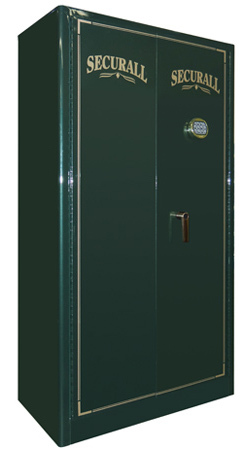 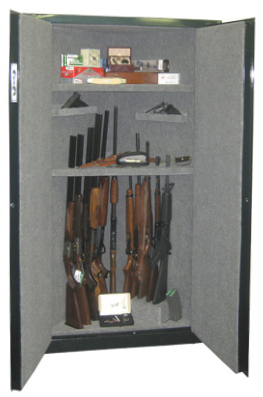 The gun safe has been tested by a certified California Department of Justice laboratory and is rated as an approved Firearm Safety Container. 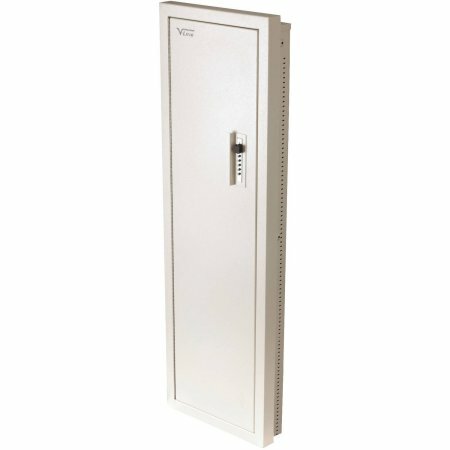 This is a security in-wall cabinet; the Stack-On In-Wall Cabinet, Beige, is not fire rated. 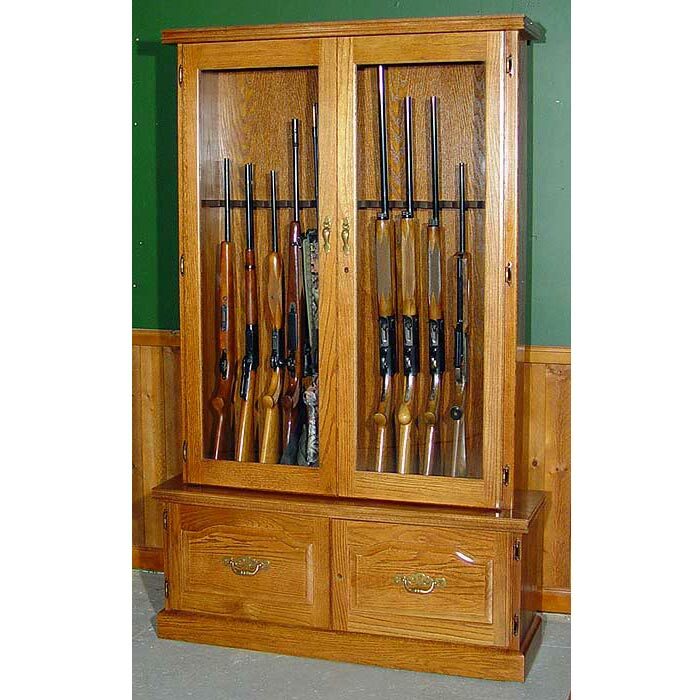 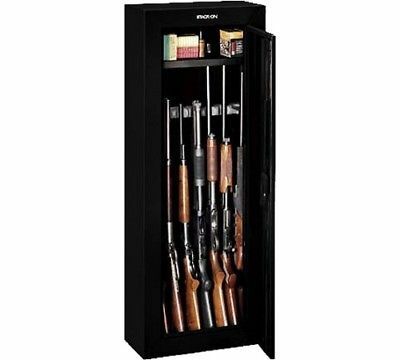 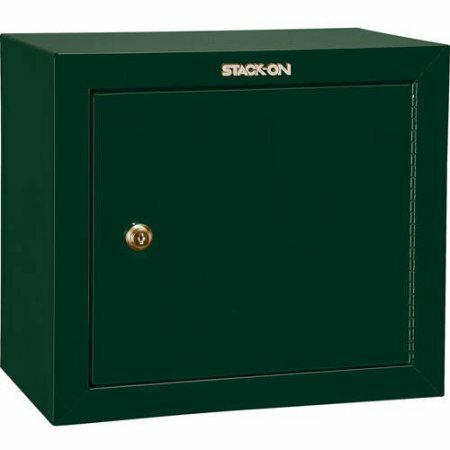 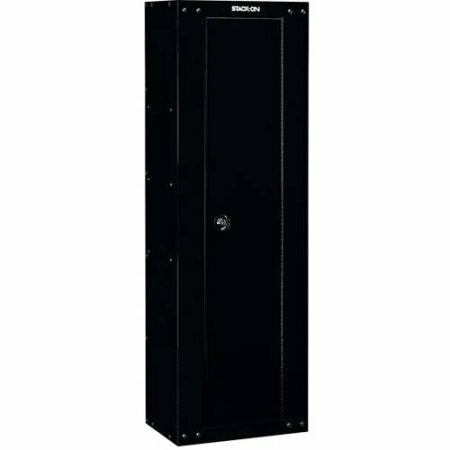 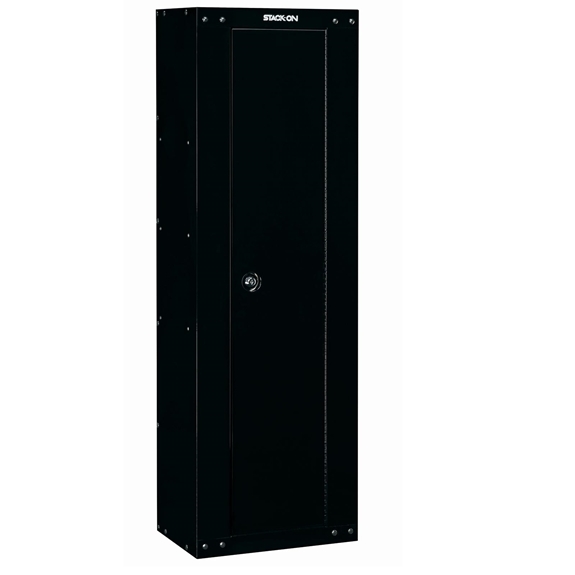 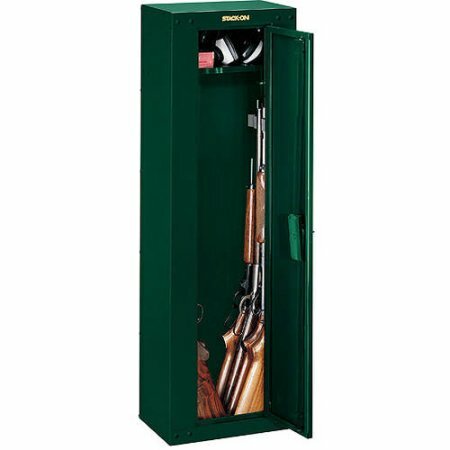 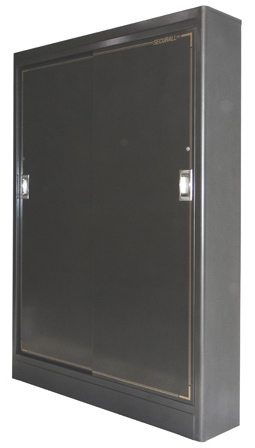 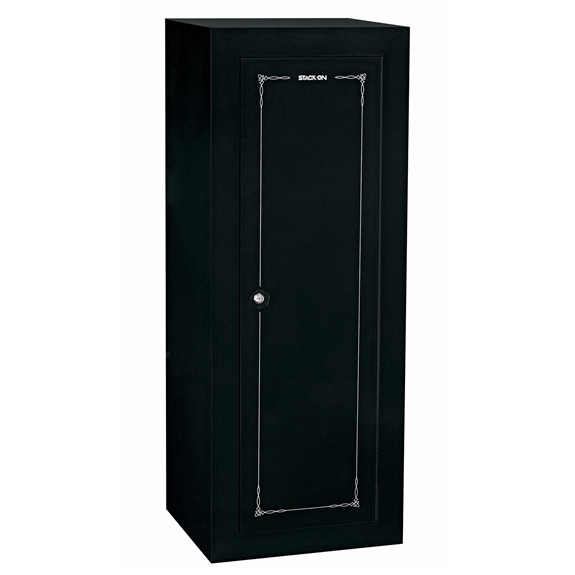 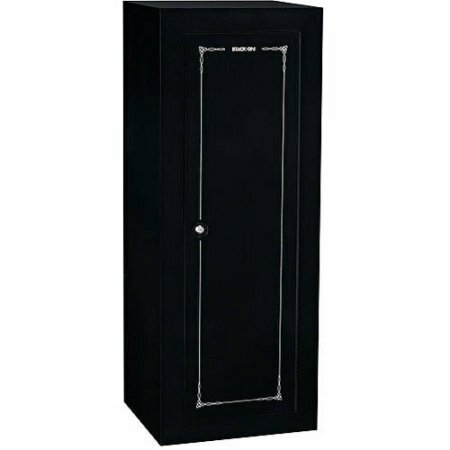 These smaller pistol/ammo security cabinets can be added to any Stack-On Security Cabinet for additional storage. 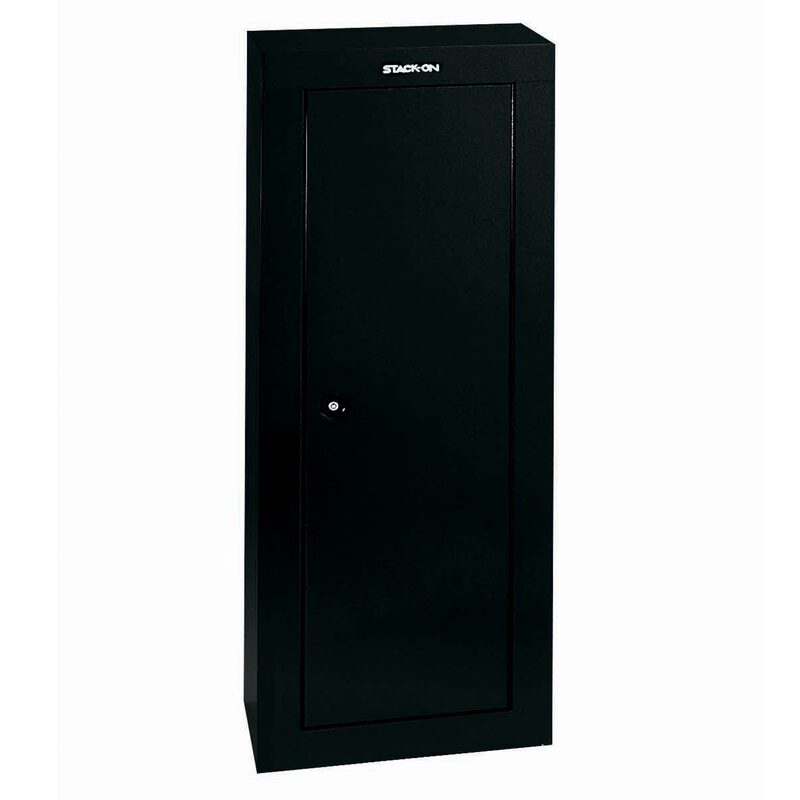 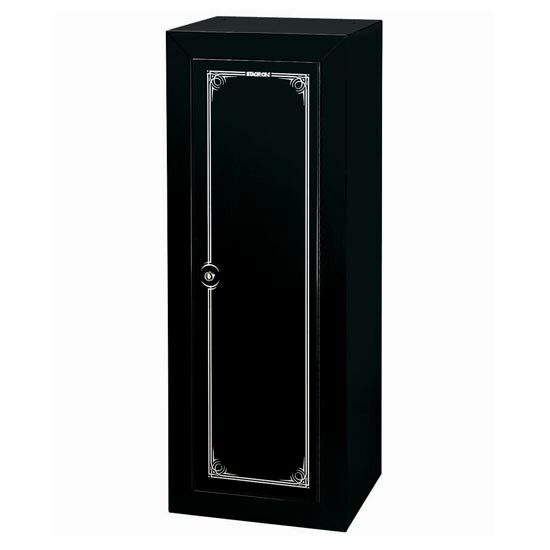 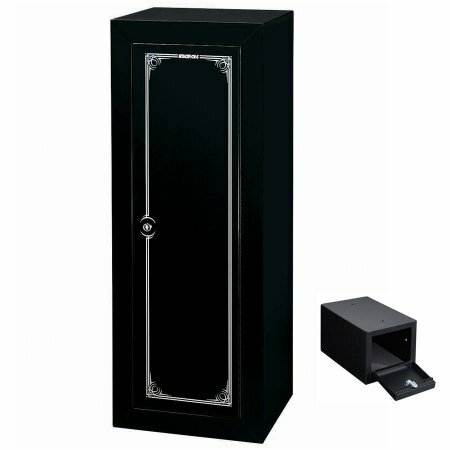 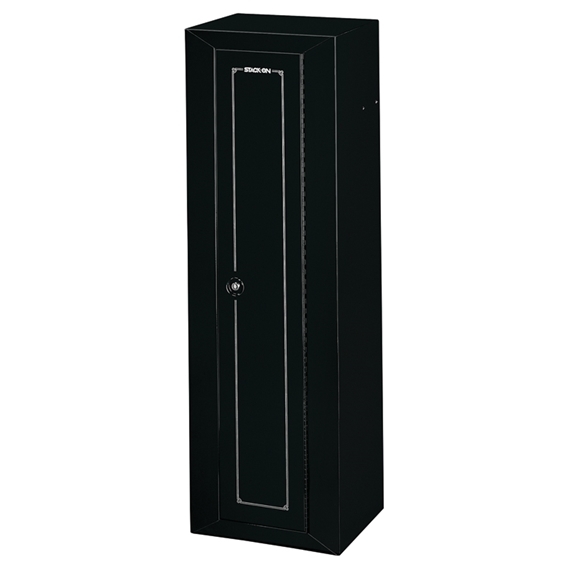 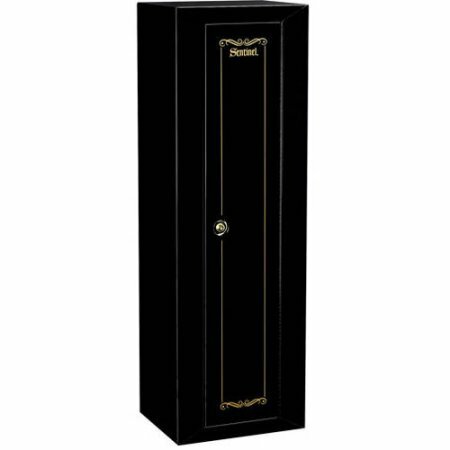 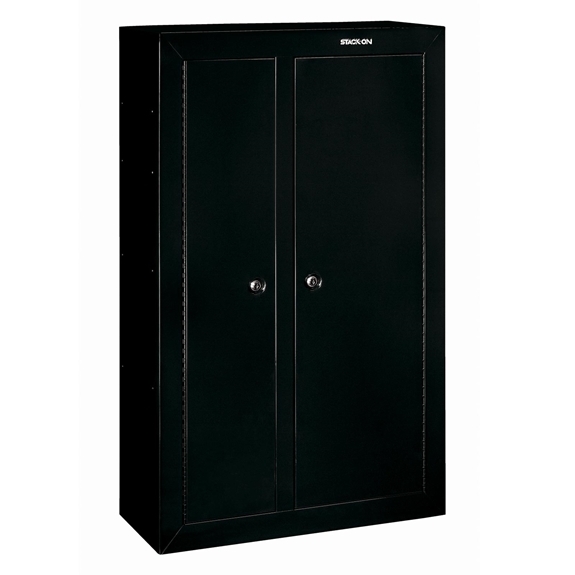 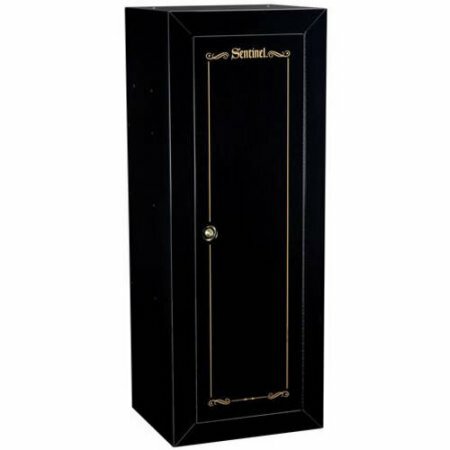 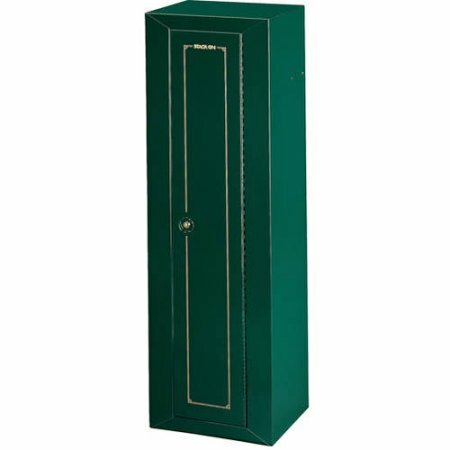 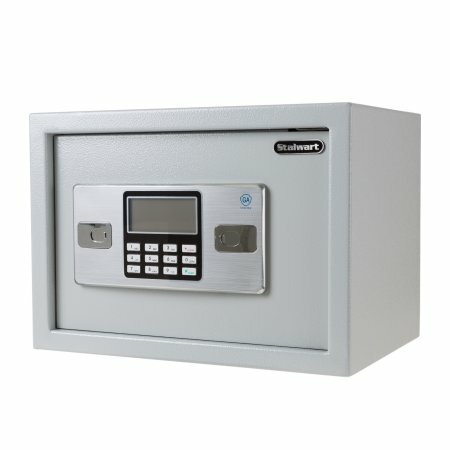 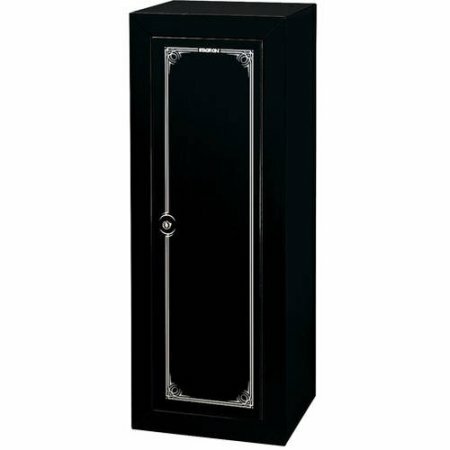 This secure cabinet is fully lockable and foam padded to keep your equipment secure.